Cape Town - Lewis Hamilton says he will give his all in Abu Dhabi as he looks to end 2017 on a high note, admitting he doesn't want the season to end. Having wrapped up the World title, his fourth, in Mexico, Hamilton had a wretched start to his Brazilian Grand Prix as he was made to start from the pitlane after crashing in qualifying. The Mercedes driver put in an epic drive to finish fourth, however, it was the second race in succession in which he was unable to reach the podium. 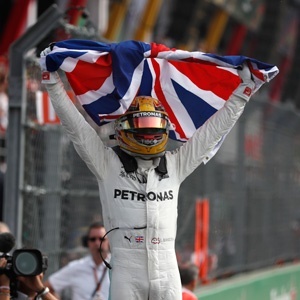 Hamilton is determined to put that right in Abu Dhabi as he aims to end his championship winning campaign with a tenth race win. "I am going to give it everything in Abu Dhabi," he said. "I love driving this year's car, and I generally don't like to wish time by. "I am at the back end of a career that can still be relatively long, so it is easy to wish days by, but I am happy to take my time. "I don't wish the winter break was here because before you know it, we will be into the next season." As for his Brazilian GP weekend, the 32-year-old was frank about his mistake. "[Qualifying] was horrible," he said. "It felt just as c*** as it felt when I was eight years old and did the same thing. It doesn't get any easier to handle those experiences. "But it created an opportunity to shine and hopefully that's what I did and continue to show I've got that fight in me and that drive and the skill to manoeuvre my car. "It was cool to be able to brush up on some of my tools. That's actually my biggest strength anyway, the race. To be good at the other ones is a bonus but the race is how I won championships when I was younger."